Ever wondered how you can create efficiency in your day to day operations by monitoring how you interact with your customers, manage tasks and make key data easily accessible? Oh, and also have an organized business whereby you never miss a potential customer? I mean never ever miss a potential customer! Think about it, when it comes to managing your growing business, you need to be able to effectively manage the different processes that will make your business flourish. The challenge for most business owners or administrators is that they usually do not have accurate, timely informed customer and service delivery data to help with the decision making they need for business growth. Some of this kind of data cannot be gotten elsewhere as it is peculiar to only your own business. This is where software that can help manage and track your business and client relations comes in. Software that goes above and beyond the capabilities of Excel spreadsheets – a customer relationship management (CRM) system which becomes an essential tool that lets you handle everything you need from one location with ease. With a CRM, you can simply be tracking your customer interactions or managing your sales pipeline from initial enquiry/contact with a potential customer (lead) through to closing a sale. You can also plan your Sales and Marketing processes for specific periods, forecast your revenues over time at each stage of your Sales and Marketing process (pipeline), keep track of all your contacts and rank them according to their current value to your business. You can also determine how you want to engage your contacts based on your Sales and Marketing strategy and then automate and streamline the processes that will make this possible for you to close potential deals. Some CRM systems even offer advanced features like 3rd party integration and task tools. Now, selecting the best CRM software for your business can be a minefield. I have used and tested quite a few and I have come up with the top three that will give you good value for your business. Hubspot CRM could very well be the only CRM software you will need for your business (assuming you are a small to a medium-sized company). if all you want to do is track your sales/marketing pipeline and generate as much leads (potential customers) as possible (especially if you already own a website), you’d be shocked at how many high quality leads you can generate if you implement HubSpot CRM for your business. And for all these things mentioned, it is actually free and comes with an easy to use interface and mobile app. Now if you run a much larger business and need more custom solutions, you can upgrade to a paid plan and get extra custom features to suit your needs. With Hubspot CRM, you can automate your customer relationship activities and workflow. In addition to customising and visualising your Sales funnel, you can track email conversations, know how many times they have been opened, and import contacts on the go by scan business cards with the mobile app. The most exciting feature for sales teams could perhaps be the ability to forecast revenue expected at each stage of your sales pipeline. 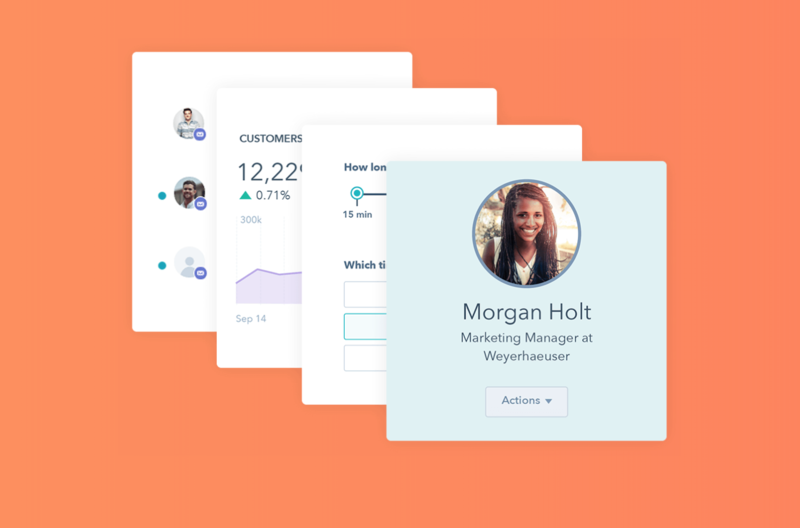 Hubspot CRM supports a lot of third-party app integrations, so you may not need to do away with existing software that might cost a pretty penny just because you are moving to Hubspot. Lastly, Hubspot customer support is probably the most responsive and they provide a lot of help with tons of free materials to help you with your marketing and sales. This kind of support is unrivalled in the industry. Pipedrive is a CRM system that proves particularly useful for small businesses looking to more efficiently manage their sales operations. The tool’s app is quite friendly and easy to use, so it’s great for most who have no prior CRM experience. Pipedrive seems to be more focused on Sales and it really shines in its simple and easy-to-use interface. Unlike Hubspot, it does not have a free version but it offers a 14-day trial period. 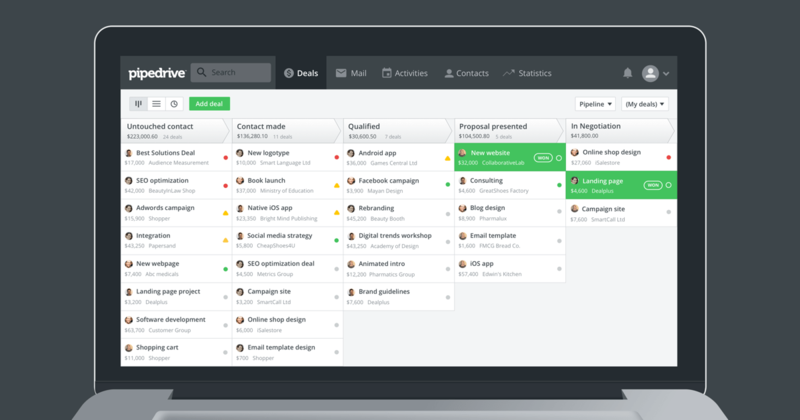 I recommend Pipedrive if you want a simple CRM solution for your Sales processes. The customer and community support for Pipedrive is quite good, maybe not Hubspot good but good enough. The Support team at Pipedrive also provides a lot of free content to help you grow your business. Zoho generally, has always proven to be a cheaper alternative to whatever the industry standard is. Zoho CRM, unlike Hubspot CRM, isn’t free but it is cheap to subscribe. The major advantage of Zoho CRM is its customizability. You can declutter your dashboards and create only the workflow you want to see. It also provides other functions found in other CRMs but it is not as robust. Zoho is relatively new, so, it might eventually become the best low-cost CRM option. Zoho CRM is a good all-rounder with plenty of integrations and social media support, however, unlike its competitors in this list, their training and support can come at a high cost. It’s also worth noting that customer reviews of Zoho are not very complementary of their support. Most complaints revolve around response times and usefulness of the actual support provided. The benefits of using a CRM to drive your marketing and sales process are immense. when well implemented, you can generate up to 200-400% more leads than you currently have and increase your sales revenues. The only issue before your now is to get the right fit.